As we commented here last week, Microsoft has been making a series of important announcements recently concerning the licensing of its patent portfolio and asserted its ambitions on the smartphone market. But since all the eyes are presently turned toward Steve Jobs' soon to come biography and its now famous "I'm willing to go thermonuclear war on this" quote, Microsoft recent actions and statements went a little unnoticed. 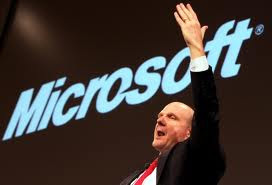 But Microsoft has its anti-android strategy all planned out and technology website dailytech revealed it all yesterday in a very detailed article entitled "Of Lawsuits and Licensing: The Full Microsoft v. Android Story". Contending that "Microsoft is essentially a failure in today's market from a pure unit sales perspective", Jason Mick explains that "Microsoft has turned from primarily being a producer of smartphones to primarily being an R&D-based litigator on the smartphone market", since it makes more money through licensing agreements than from selling devices running his own Windows Phone OS. This article gives us the list of all the companies that Microsoft is licensing to and suing and highlights the interesting fact the company led by CEO Steve Ballmer is "double dipping" - that is "seeking licensing fees both from the "original equipment manufacturer" (OEM) who mostly designs the device (e.g. Samsung) and from the "original device manufacturer" (ODM) who primarily handles manufacturing the device (e.g. Foxconn)" - with a certain success since 55 percent of the Android ODMs and 53 percent of Android OEMs entered into licensing agreements. The following paragraph, which a quick outline of the 9 main patents that Android is said to infringe, is also definitely worth a read. A new IP dawn for Microsoft? Life's good for BMW and Audi in Korea?